Vegetable tanned cow leather. Width 11.5 cm, height 17 cm. 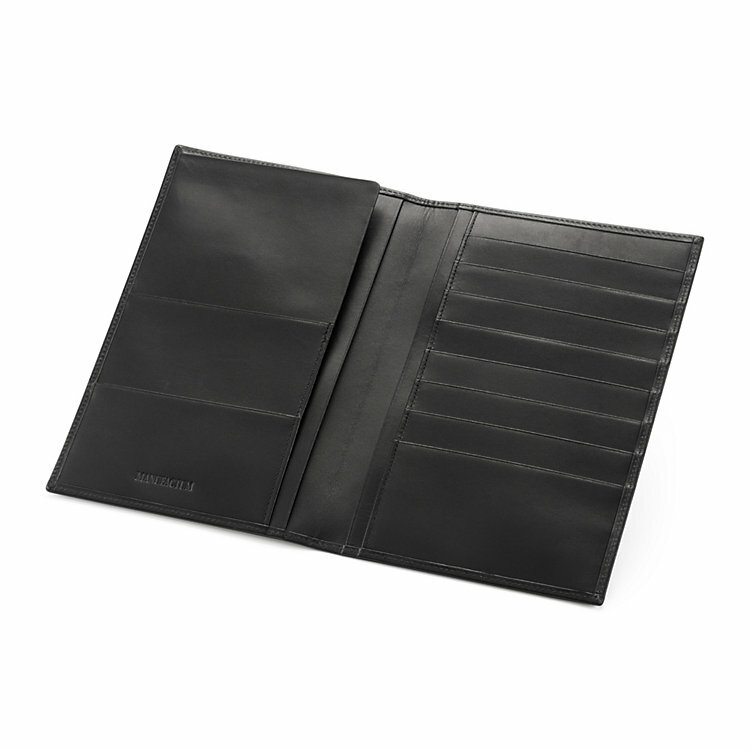 Weight 90 g.
A classic billfold with four large compartments extending over the whole width for papers, along with eight pockets for cards and extra pockets (for instance for the parking ticket). The seams of the billfold are all sewn turned up, and the inner edges are creased. The insides of the pockets are lined with a rayon-cotton weave. The leather is from Scottish and English cows, vegetable tanned in England in slowly revolving oak barrels in a tanning agent made of organic ingredients like mimosa, black acacia and quebracho wood.